To support its goal of developing well-rounded volleyball athletes, Dive Volleyball Club depends not only on skilled, experienced coaches, but also applies state-of-the art technology. The Dive Volleyball facility is equipped with cameras throughout that record every practice and every tournament for use in both recruiting and training review and evaluation. Coaches are able to use iPads and a large screen television to review with players and entire teams IN REAL-TIME or after-the-fact games, plays, drills, skills, etc., providing immediate feedback. This is a key contributor to ongoing skill development. Coaches, recruiters, and family members are also able to watch players and teams remotely, eliminating the need for on-site visits and broadening player exposure. Dive has three tiers of pricing depending on the team and the player, as detailed below. Fees are all-inclusive for the season, so there are no additional or "hidden" fees. Payment plans and fundraising opportunities are also available. Below are the profiles of some of our coaches and contributing staff. 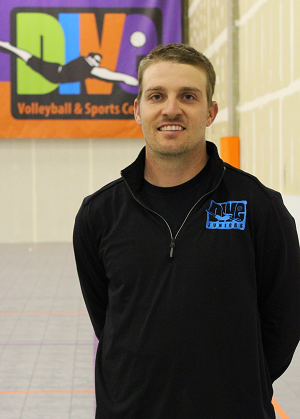 Shane is a Denver businessman who has a passion for volleyball. 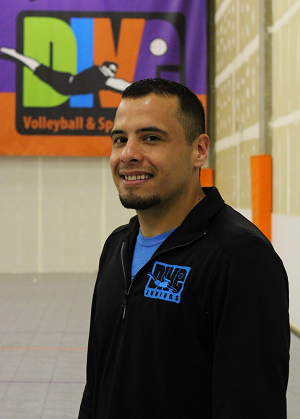 He opened Dive Volleyball in 2014 as a home for his long-standing adult leagues and to provide a much-needed venue for indoor hardcourt volleyball in Denver. Soon after opening Dive, he was approached by juniors coaches and players to start a juniors volleyball club. Seeing a need for a juniors club with its own facility in central Denver, he formed Dive Volleyball Club in July 2014, which achieved rapid success in its first year with all of its teams having significantly improved their standings throughout the season, its 18s team finishing in RMR Division 1 and boasting successful finishes in national tournaments, and all graduating 18s with the desire to play volleyball in college having achieved that goal. This success has continued in each subsequent year. Shane's primary motivation is to share his passion for the game and to allow anyone who wants to play volleyball the opportunity to do so. He has also served on the board of local volleyball organizations, serves as the Tournament Director for multiple adult and juniors volleyball tournaments and for the annual charity AIDS Walk Volleyball Tournament, and regularly competes himself in local and national tournaments. Curtis has rarely been away from the game of volleyball. A California native, he grew up playing, ultimately playing in Santa Barbara in both high school and college after winning the gold medal for beach 17's in the Junior Olympics. 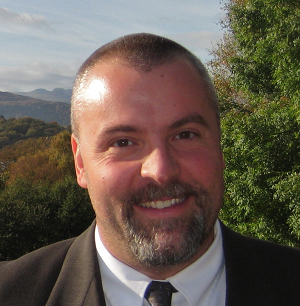 Curtis has held a series of coaching positions in both California and Colorado, including head coach for both Johnson and Wales University and the Denver Juniors Volleyball Club and most recently as head coach for the Dive Volleyball Club since 2014. Curtis fosters an environment of fundamental skill training and positive coaching, and has a genuine investment in the development of young players. We are thrilled to have him return to Dive Volleyball Club, which he helped found. Tammy is a Colorado native who recently returned to Denver after living in the Chicago area since 1992 where she played at Northern Illinois University as a middle blocker. She had the recent honor of being inducted into the NIU Hall of Fame with her 1993 teammates who made it to the second round of the Division I NCAA Tournament. Her coaching experience includes three years as a high school head coach as well as three years as an Assistant Coach at North Central College in Naperville, IL, and most recently as head coach for Dive Volleyball Club since 2015. She is knowledgeable and experienced in all aspects of the game and has a particular strength in helping middle blockers excel in their position. 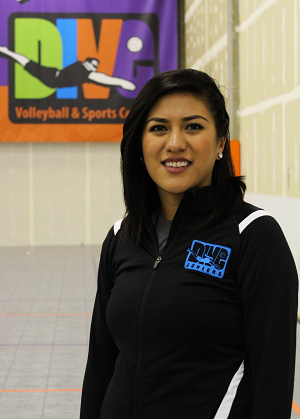 Tammy is passionate about the game of volleyball and enjoys sharing her passion and knowledge with young players, and we are excited to have her as part of the Dive coaching team! A native born in Colorado Springs, Ty started his indoor collegiate career at Johnson and Wales University in Denver. He was awarded the most blocks within the national tournament as well as 2nd team all-conference. After receiving his Bachelors degree in Sports Entertainment and Sports Management, he continued to play out his last year of eligibility at Quincy University in Quincy, Illinois, where he was able to help lead his team to the Division 1 MIVA conference playoffs while attaining his Masters degree in Business Administration. In the past, Ty helped coordinate the USA Volleyball High Performance Championships for four years as well as over 8 other large tournaments, such as Big South and Tampa United Slam. He has coached a wide range of ages both indoor and outdoor, and continues his coaching career here at Dive. 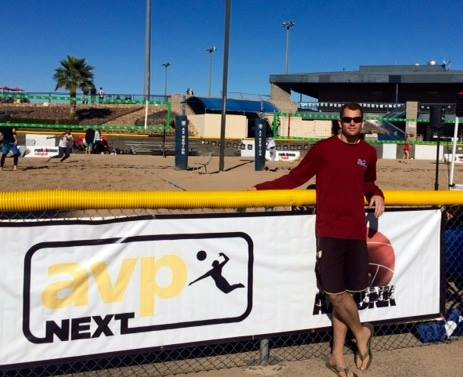 Along with directing our new sand program he also continues to pursue his professional beach volleyball dreams by competing in both NVL and AVP events. We are happy to have him as part of our coaching team! Breanna played volleyball for Cherokee Trail High school and was the captain of her undefeated team her first year, earning a spot on varsity and receiving three varsity letters. During her high school career, she won the All State Academic Award two years in a row, and her senior team qualified for State. 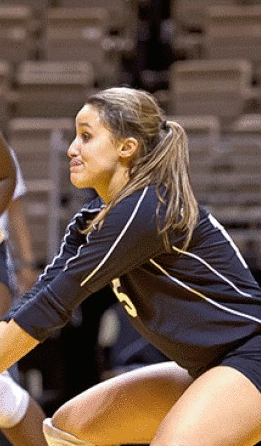 In addition, she played outside, middle, and libero for 7 years of competitive club volleyball. Following high school and club, she continued to play for Regis University as a libero and recently graduated from Regis where she majored in Biology and minored in Health and Exercise Science. 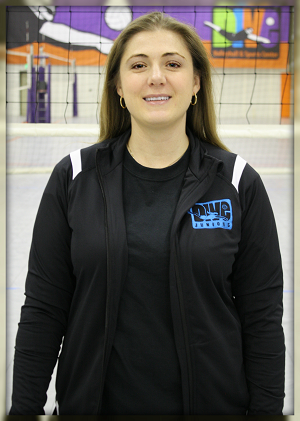 She has coached club volleyball for three years and previously coached at Wheat Ridge High School. 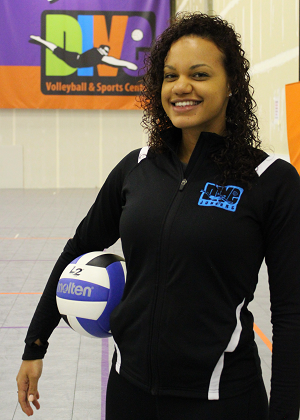 Breanna is a great technician and has a true passion for volleyball, and we are excited about her return to Dive! Adriana graduated from Smokey Hill High School in 2009 and was awarded all-conference as an outside hitter. Having played for more than 13 years, her passion for the game only continues to grow. She coached for 2 years at Hinkley High School and has served as a coach for Dive Volleyball Club since 2015. Adriana is energetic and capable of pushing players to reach their highest potential. As a player and now as a coach, she wants to dedicate her time to help each individual player grow and succeed. We are excited to have Adriana as part of Dive Volleyball Club! Angela brings extensive coaching experience at the high school and club levels and is a graduate of Arvada High School where she was part of one of Colorado's strongest volleyball programs. Angela was the Head Coach at Arvada High School after successful stints at Wheat Ridge High School, the Edge VBC, and Fusion VBC, and has served as Head Coach and Coaching Coordinator for Dive Volleyball Club since 2014. The Colorado State University graduate brings her knowledge, experience, and love for the game and developing players to Dive, and we are very happy to have her! Betty completed her senior year in 2015 at the helm of the Metro State women's volleyball team where she achieved immense success. The 5'10" setter from Eagle, Idaho, began her volleyball career at Salt Lake Community College where she led her team to a conference championship. Betty is a physical setter with great court sense and the ability to make her hitters excel. She has served as the setting coach and an assistant coach for Dive Volleyball Club since 2014, and her extensive playing experience, knowledge of the game, and proven court leadership is a great benefit to all Dive athletes! Betty is a fiery coach with a lot of positive energy and will again be responsible for setter training for all Dive teams. We are excited to have Betty as part of our staff! 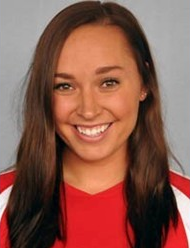 Lizzie played as the starting Middle Hitter for Johnson and Wales University (NAIA) in Denver. She is a native of Longmont, Colorado, and was part of Longmont High School's prolific volleyball program. Lizzie is a passionate player who demands a lot of herself, her teammates, and her players on and off the court. She brings that same energy and knowledge to her coaching and has a love for the game and for coaching that makes her a valuable asset to our coaching staff! 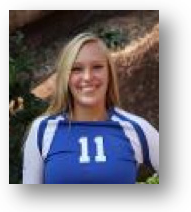 Lizzie has coached for Denver Juniors VBC, Dive, and CVA, and is returning to Dive this year! A native of Recife, Brazil, Luiza graduated from Lakewood High School, where as a two-time All Conference Outside Hitter for the Lady Tigers, she led her team to two State tournament appearances! After graduating from LHS, Luiza spent one year as the starting Libero for nationally-ranked Laramie County Community College before transferring to Alabama State University where she graduated with a degree in Political Science. A three year starter at the Libero position for ASU, Luiza was named the 2012 and 2013 Southwestern Athletic Conference Defensive Player of the Year! In 2013, Luiza completed her incredible career at ASU by leading her team to the SWAC Championship and an NCAA tournament appearance! Luiza is a determined and energetic coach with great knowledge of the game and the college recruiting process. She has coached the Regis Team Camps and has been a guest coach at numerous club practices. Luiza is a welcome addition to Dive! 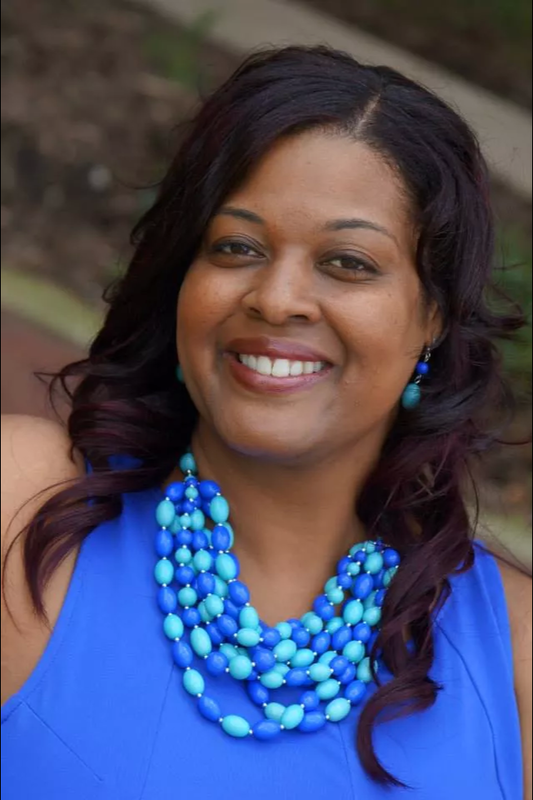 After finishing her playing career as the starting middle hitter for Division I Southern University, leading that team to their first NCAA tournament appearance, Sabrina found her passion in coaching. At Butler University, she helped recruit and coach the school's first AVCA All-American and had successful head coaching stints with Hoosierland VBC and Indy Juniors VBC, before returning to Colorado where her 18s and 17s teams at Denver VBC qualified for Junior Nationals and won outright the Capitol Hill Classic National Tournament respectively. Coaching for Denver Juniors VBC, her teams found great success, winning three out of four regional powers and taking 9th in the Big South Tournament in Atlanta. More importantly, her players are successful in their college careers. We are excited to have her wealth of knowledge and playing and coaching experience as part of the club! Copyright (c) 2019 Dive Volleyball, LLC. All rights reserved.